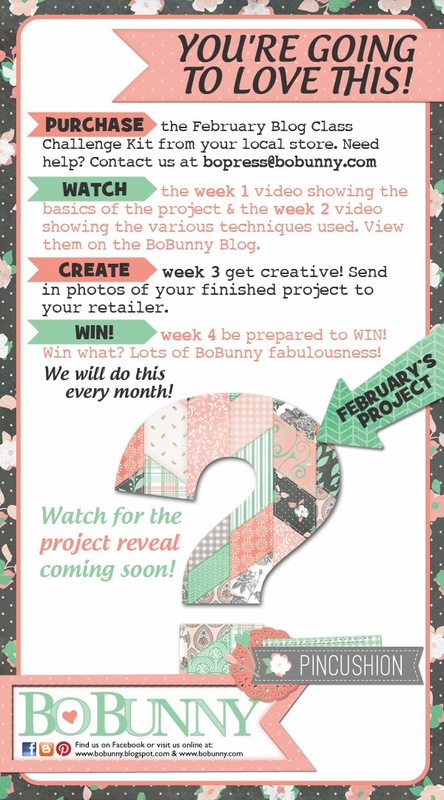 The BoBunny Blog: January Blog Class Week 3 and LOTS OF WINNERS! 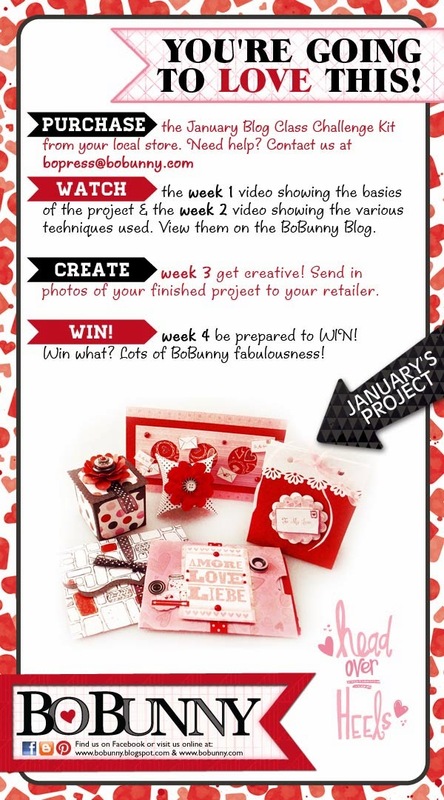 January Blog Class Week 3 and LOTS OF WINNERS! For Week 3, all of the participants are hard at work using their own creativity to show us what they can do with the product. We can't wait to see what you create and good luck to all our participants!! Speaking of Blog Classes, did you know we have a new Blog Class every month? For February we will be featuring the Pincushion collection. The project reveal is coming soon, so get excited!!! BoBunny Winter 2014 Product Previews!!! Congratulations ladies! An email has been sent to each of you for your contact information. We want to thank everyone who stopped by and left comments about our new releases. We love and appreciate our BoBunny Fans and we enjoyed looking through and reading the thoughts and comments you shared with us!!! Congrats to the winners! I can't wait to pick up some of your new product. Thank you Bo Bunny!!! I am the winner of your Happy Tails collection but did not receive an email; nixshaus@comcast.net. OMW.....how PERFECT will this be with my First Grandbaby due in March!!! THANKS TONS AND BUNCHES!!! !